The steady northwesterlies that we fished through last week have slackened off nicely and our guests are enjoying the bounty of the full fishing grounds once again! 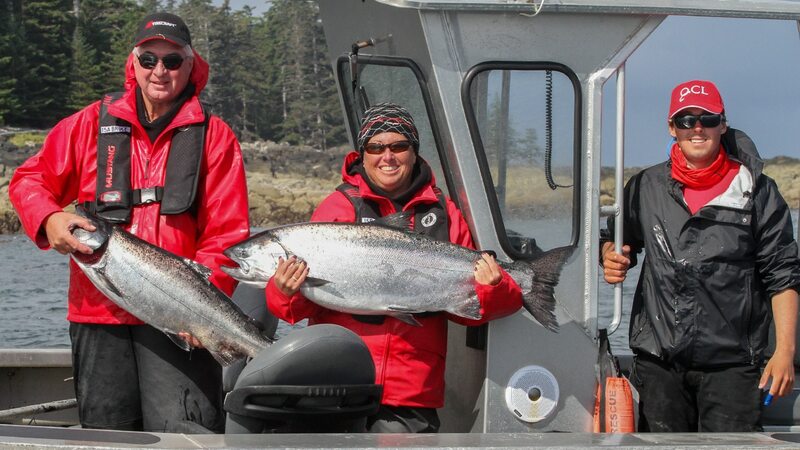 We’ve discovered masses of salmon just slightly offshore from our “normal” fishing haunts along the rocky shoreline. Eager anglers are quick to move out a little further into water depths of 150 to 200 feet. Tons of baitfish are attracting schools of both Chinook and Coho salmon to the grounds between the Mazzaredos and Bird 2. Those “perfect for keeping,” 18-22 pound Chinooks are turning up in numbers as well in the offshore zone. We’re generally getting them down 25-35 feet on anchovies, herring and spoons. They don’t seem to be too fussy! But the BIG fish are still found in the traditional spots around our favourite structure. Cape Naden was the place to be for a number of anglers last week. Long time QCL fan Tom R and his wife Sydney were fishing the Cape with Roger Baker when Tom hooked up with a big fish. Tom’s version of the story is fantastic to hear but the short story was of a terrific 41 pounder in the boat! Nice fish Tom, well done! Paul F put a 44 on the scale! The ladies at the lodge were proving a force to be reckoned with as well. 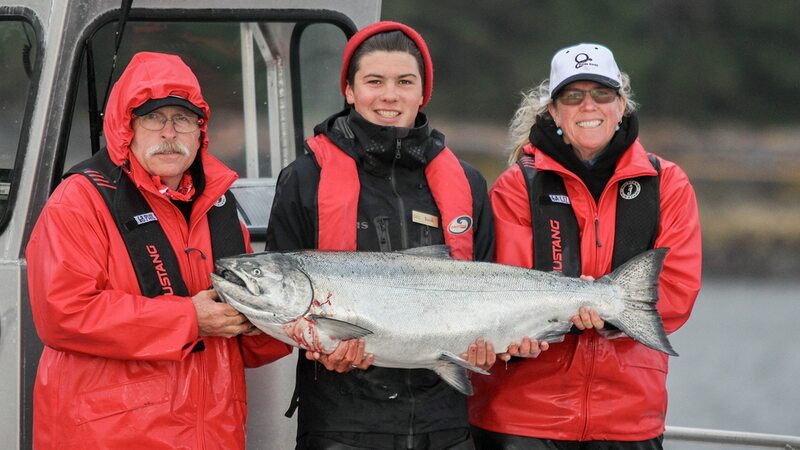 Liz M was just beaming after she landed a striking 42 lb Chinook with her husband Phil and guide Isaiah Dahl. 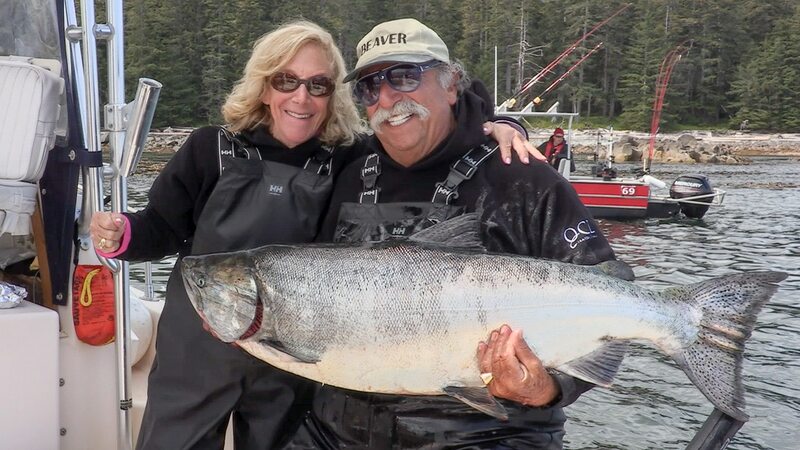 Sheila B proudly displayed her chrome-bright 40-pounder alongside her husband Bruce and guide Coady Delesalle. Fantastic catches all around!